What to do for few hours in Barcelona? On transit or on a cruise, you might just have few hours to visit Barcelona. It isn't enough of course but we will try to get the feel of the city while enjoying it. If you are on a cruise, just walk down Las Ramblas, a tree lane pedestrian street. 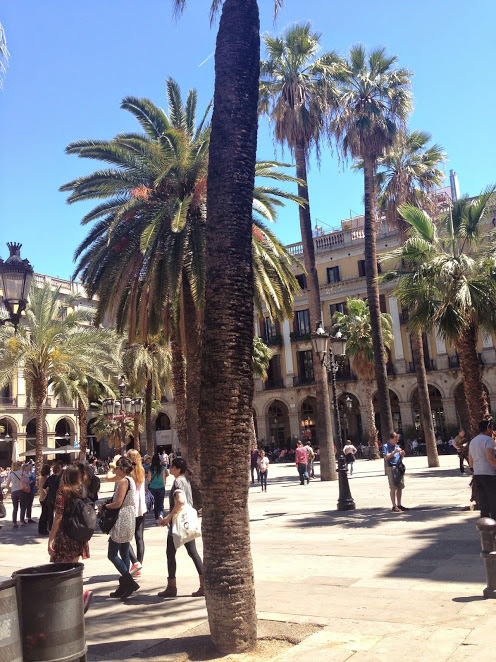 From the port you walk down, it starts with the Columbus statue and finishes at Plaza Catalunya. Admire the stalls, and your right hand side you will come across the Plaza Real. Admire this beautiful plaza, home to Gaudi's first work, the lampadaires. 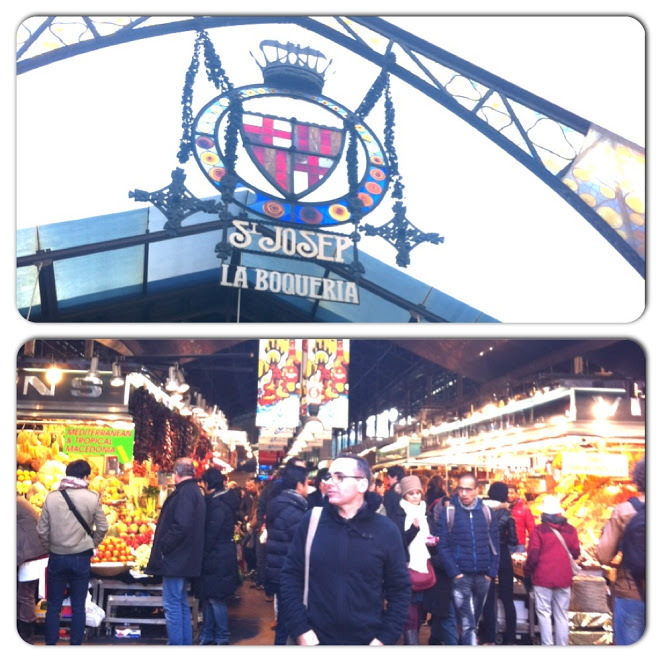 Continue on the Ramblas and on your left hand side you will come across the Mercat de La Boqueria. 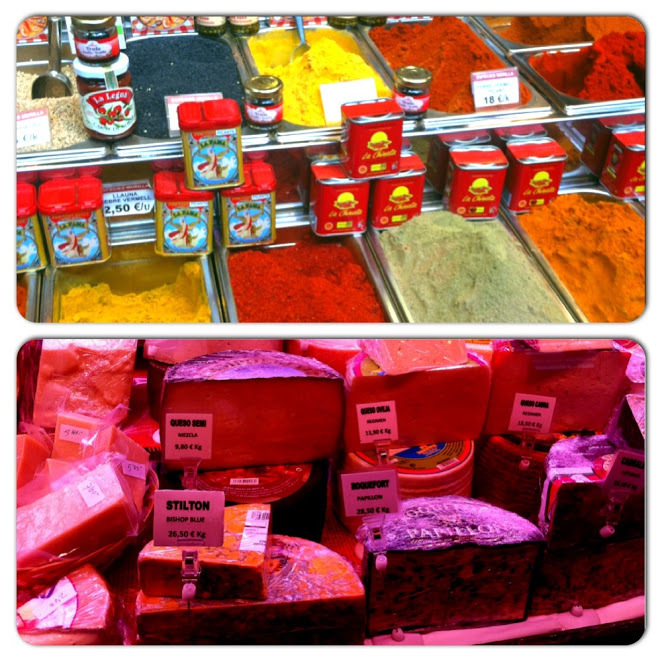 One of the most beautiful market in the world, filled with colors and flavors, you could shop some olive oils, saffron or turrones. You could also stop for a bite at one of their many bars. Then you continue on the Ramblas and you will come on Plaza Catalunya. There is a tourist info center there if you need anything. From Plaza Catalunya walk down Passeig De Gracia, admire one of Europe most beautiful and expensive lane with the high street brands. 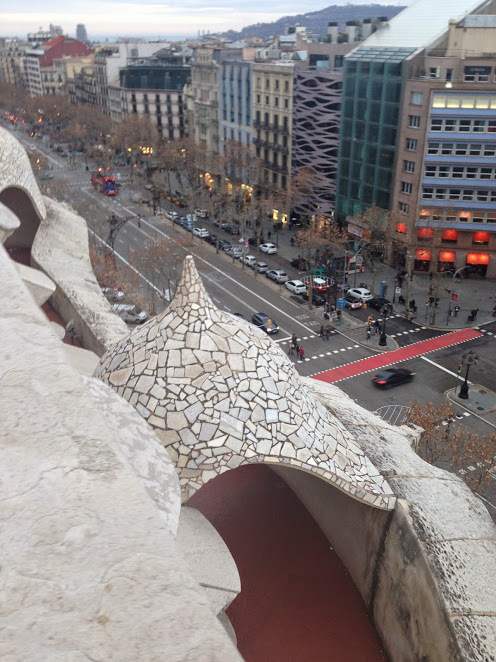 You will come across 2 of Gaudi's buildings. Admire la Casa Battlo, by Gaudi and the buildings surrounding them (by Lluis Domenech i Montaner, Josep Puig i Cadafalch) all moderniste buildings forming part of La Illa de La Discòrdia (Island of discordy) as each architect is competing with their most impressive architecture ( while their styles are clashing). Read more here. Walking from La Ramblas these buildings would be on your left. 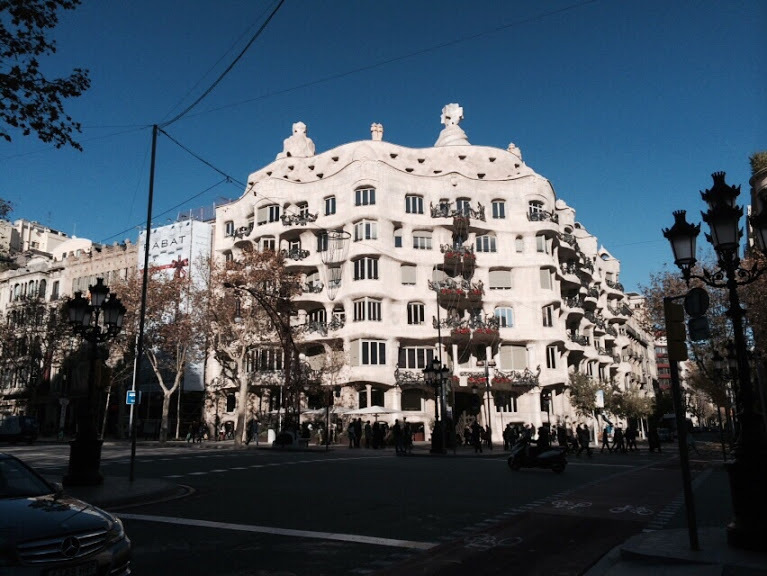 You then continue and you will see La Pedrera- Casa Mila on your right hand side. You should visit it but get your tickets before hand if possible. Check it here. 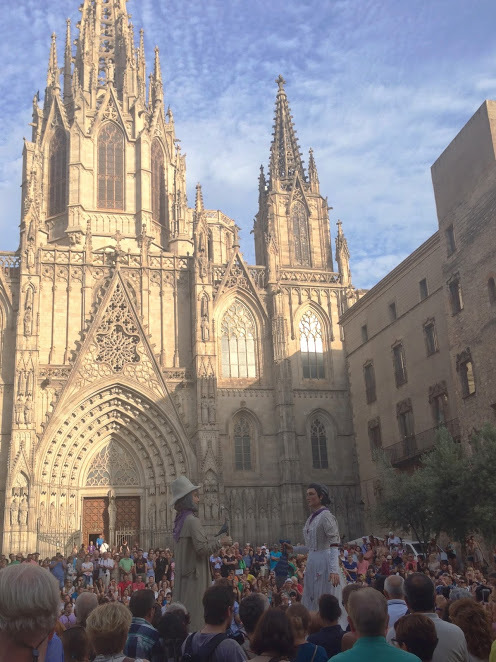 You will not have time to see La Sagrada Familia, so walk back till Plaza Catalunya, take Porta del Angel and get to the Cathedral de Barcelona. A beautiful church, worth entering for a while. From there get to Via Layetana, and turn on Calle Princessa till the Calle Montcada. You are in the Born area. Get a glass of Cava and some delicious bites at Xampanyet, enjoy the small lanes in the Born for a while and their cute little shops. Enjoy till you need to get back by cab or walking. Like any other big city in the world beware of pickpockets. Check out this post on some places around town to eat, here and here. This post in french: here.